The Carron Imperial Single Ended Bath combines sturdy construction with a minimalist design that makes it the perfect addition to any modern bathroom. Manufactured in a durable 5mm acrylic shell or from the super strong Carronite finish, the structure is solid and built to last, while the elegant, compact design makes it a versatile option for a variety of bathroom sizes. A matching luxury headrest is available for the three larger baths giving your head an added bit of luxury after a long day at work. The Carronite version of this Carron Imperial bath is a strong and durable addition to your bathroom. Once installed you will not have to worry about having a comfortable and reliable bath ever again. The Carronite composition of this bath also allows you to stay warmer in a soak for longer because of this bath's insulating properties. 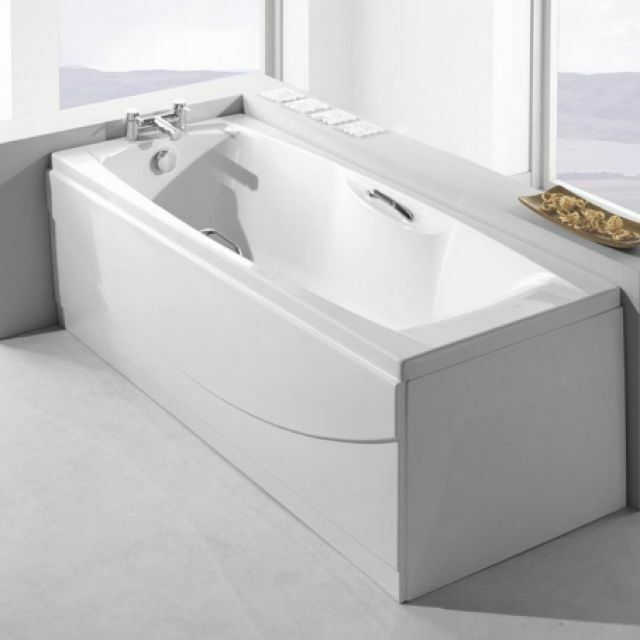 With its clean and curvy design, this bath will fit into nearly any kind of bathroom decor you may have.